Depending on your business you may need more than one type of Fire Extinguisher. 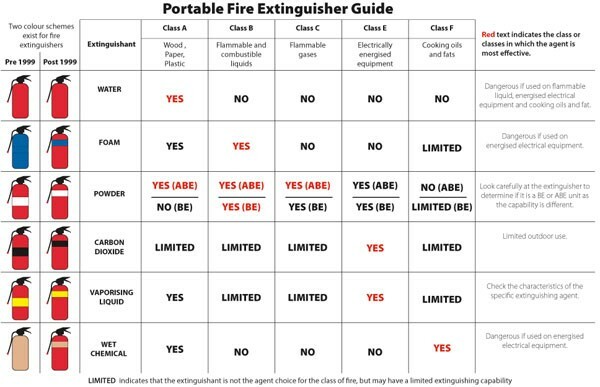 The first step to take is to check the Fire Extinguisher hazard chart and determine the fire risks your business may have. KA Fire can help you identify these hazards and the types of extinguishers you may need. How often do I have to have my fire extinguishers inspected? All Fire Extinguishers in commercial premises (warehouses, offices, retail stores, factories etc.) and public buildings (hospitals, schools, movie theatres etc.) must be inspected every 6 months in accordance with Australian Standard 1851. This includes Fire Extinguishers, Fire Hose Reels, and Fire Blankets etc. The first step is to do a risk assessment at your building to determine what type of fires may potentially occur in your workplace. Placement of Fire Extinguishers is governed by Australian Standard 2444 and the Building Code of Australia. Is it correct that Fire Extinguishers have to be pressure tested every 5 years? Yes, that is correct. Australian Standard 1851 requires that all fire extinguishers be emptied and pressure tested every 5 years. They are emptied,tested and inspection for any faults. If the Fire Extinguisher is deemed functional and safe, it is reassembled, refilled and stamped with a test date. 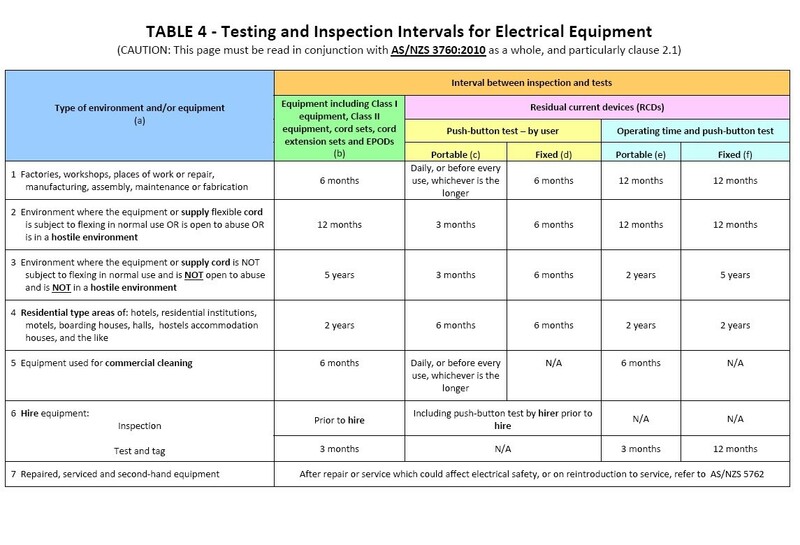 Why get my Portable Appliances Tested (Tested and Tagged)? OH&S legislation imposes a duty of care on all employers to provide a safe workplace to their workers. In carrying out a scheduled testing regime an employer is able to demonstrate an effort to meet these requirements. How often will I need the items to be tested? The testing frequency of items will vary depending on the type of equipment and the environment or location that it is used in. In some cases, 3 monthly testing is required and other up to 5 yearly intervals. Contact Electrotest for your specific site requirements. Do I need to keep a record of the tests results? Yes, record keeping is an important way of verifying and demonstrating compliance. Insurance companies will require some confirmation of the work carried out. Why do I need to have a Thermography Audit at my workplace? Thermography is a tool which enables you to be proactive in looking after important building infrastructure. If your business depends on equipment and labour to operate efficiently then a Thermographic Audit can detect potential problems and prevent your business from costly downtime losses. Can insurance companies ask for a Thermography report? Yes, which may enable a discount on your policy. Contact your Insurance company/provider for specific information.